For 12 years, Apple has published reports on its supplier audits, and the 2018 Progress Report was released earlier this month. 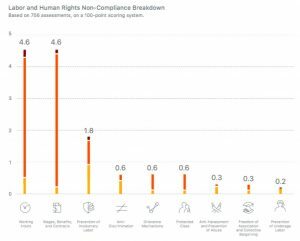 In 2017, Apple conducted audits of 756 suppliers in 30 countries, including 197 suppliers that were audited for the first time. The expanded audit unearthed 48 “core” violations of Apple’s supplier code of conduct, double the number from the year before. 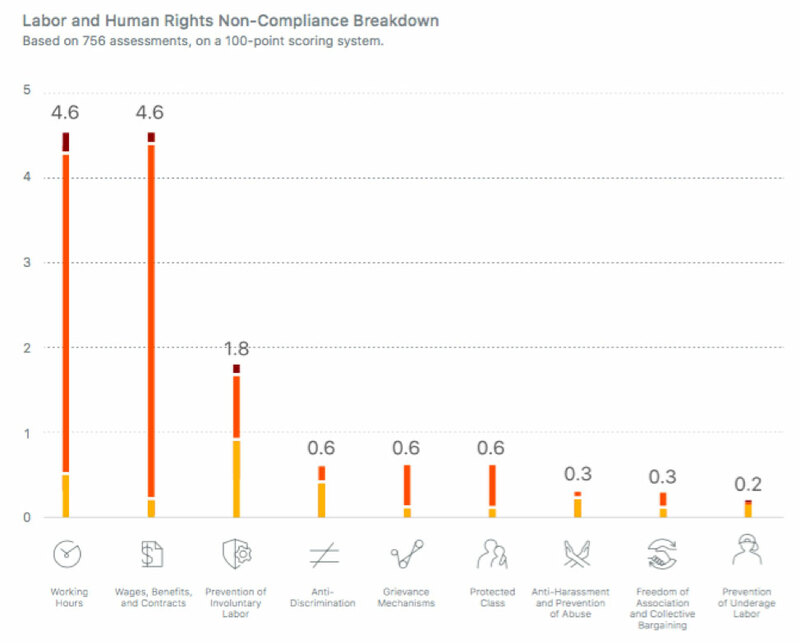 However, the good news is that the overall trend is toward greater compliance. The labor-related code of conduct violations included 38 cases of falsified working hours, three cases of bonded labor, two cases of underage labor and one case where a supplier restricted site access to auditors and refused to provide required documentation. 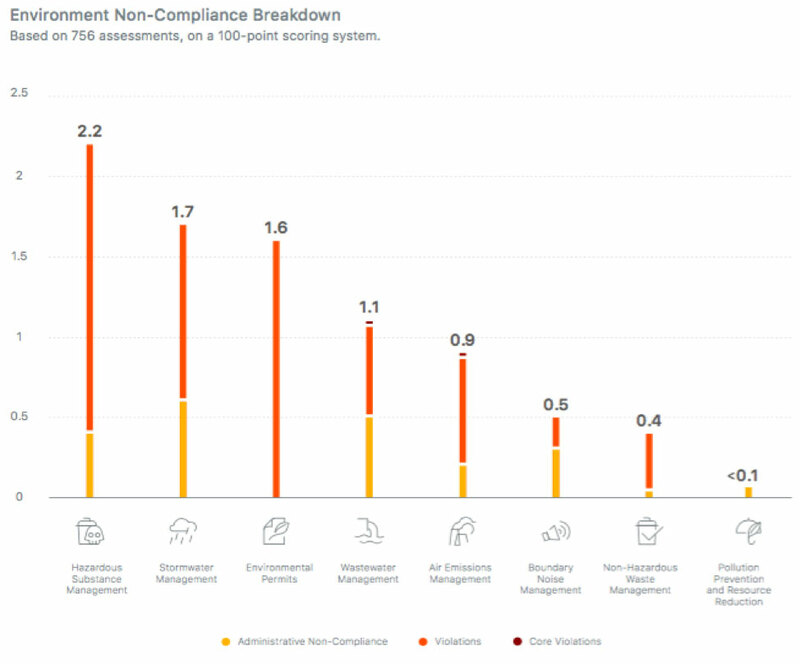 The average assessment score across the 756 suppliers was 86 out of 100. One of the instances of bonded labor involved the recruitment of more than 700 foreign contract workers from the Philippines who were recruited to work for a supplier through a private employment agency. The net placement fees exceeded $1 million, the repayment of which was overseen by Apple. The 2018 Progress Report noted that since 2008, more than $30 million in recruitment fees has been paid back to foreign contract workers. Apple’s supplier code of conduct limits working hours to 60 hours a week. Since 2011, Apple has been monitoring the weekly working hours of supplier employees via its Working Hours Program, which expanded to cover 1.3 million employees in 2017. 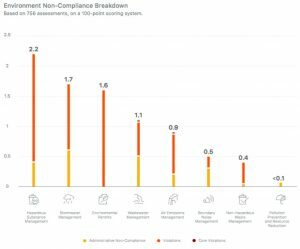 The supplier compliance rate for working hours was 94% in 2017. There were 38 instances of falsification of working hours that Apple discovered last year. In each instance, the supplier is put on probation and the violation reported to the supplier’s CEO. Apple then works with the supplier to review its management system and conduct regular audits of the supplier to prevent future violations. The supplier is also required to revise all records to reflect accurate working hours. In the case of underage labor, the supplier is required to provide a safe passage home to the worker, continue to pay wages to the worker until she or he reaches the legal working age, provide educational opportunities for the worker and guarantee employment upon legal age. In 2017, Apple uncovered two instances of underage labor. 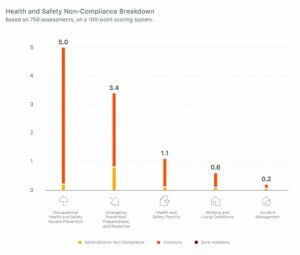 In 2017, the average environment assessment score among the 756 suppliers was 91 out of 100, and the average health and safety assessment score was 90. Apple discovered four environment-related “core” violations, three of which were related to improper wastewater management and the fourth regarding air emissions. No “core” violations were unearthed in the health and safety categories. The violations that Apple found were primarily related to health and safety hazard prevention and emergency prevention, preparedness and response. Apple and Supplier Audits -- How Far Does the Apple Fall From the Green/CSR Tree (Part 2)?